With the many options available in the market now, choosing the best drawing tablet is never easy. These drawing tablets come with various features that choosing what fits your needs best is really hard. Thus, if you’re planning to buy a drawing tablet, it’s best that you do some research first. 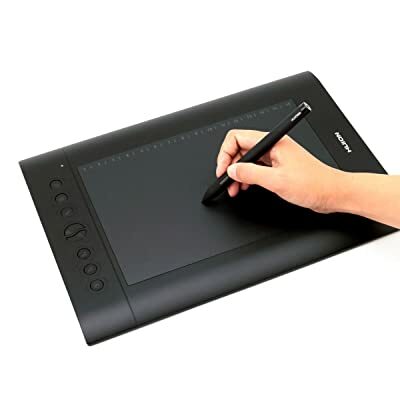 Wacom Intuos Draw CTL490DW is easy to use even for beginners. It has a full range of art supplies all in one tool which will allow artists, even beginners, to make the best out of their artworks. It even comes with ArtRage Lite drawing and sketching software and online tutorials which will bring out the artist in you. Below is a list of its pros and cons. Also, the pen is pressure-sensitive. As a result, you are allowed to control how thick or thin the line you want to draw is by simply pushing the pen harder. This art tablet comes with four customizable “Express Key” which you can assign to your commonly used actions like copy/paste. The pen can be used interchangeably with the mouse, thus, your mouse and the pen can be both active at the same time. This tablet is available in a very handy size (8.25×6.7 inches) which is perfect if you have a limited working space. It compatible with Mac (10.8.5 and above) or PC (Windows 7 and above) and can be connected via USB cable or wireless. It doesn’t have an “eraser” end. However, you may do some erasure with the help of the “eraser” tool on the drawing program you’re using. The pen’s nibs are shorter compared to other brand’s. However, this tablet comes with 3 free pen nibs. It sometimes encounters some issues with regards to downloading the driver, registering the product, etc. However, some users recommend using Mozilla Firefox in downloading the server. Wacom Intuos Art Pen and Touch Tablet have everything you need to create amazing digital art. It works with all Adobe programs including Photoshop, Illustrator, InDesign all Autodesk and Corel programs which make it easy to work with. This is perfect for all the professional, and even newbie, artists out there. Check out its pros and cons in the list below. This tablet comes with a battery-free, pressure sensitive pen. You can control how thick or thin the line you want to draw by simply pushing the pen harder. It is equipped with four customizable “Express Key” which you can assign to your commonly used actions like copy/paste. It allows you to use your mouse and the pen at the same time. This tablet comes in a very handy size (8.25×6.7 inches) which is perfect if you have a limited working space. 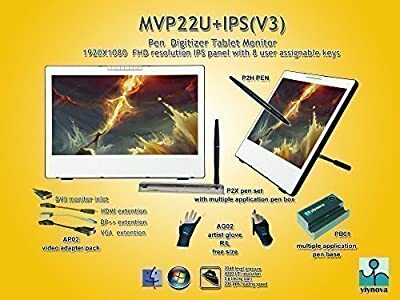 It compatible with Mac (10.8.5 and above) or PC (Windows 7 and above) and can be connected via USB cable or wireless making it one of the best drawing tablets available today. It has poor cover design since the back cover is very hard to open. Also, once opened, it is hard to put the cover back. Huion H610PRO Painting Drawing Pen Graphics Tablet is a great alternative for the other more pricey brands. 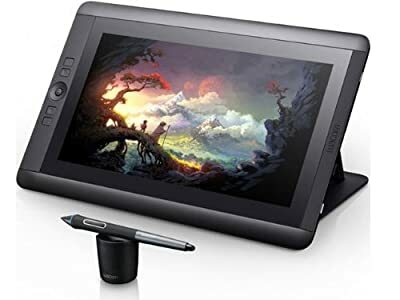 This tablet is compatible with the leading digital art software like Adobe Photoshop, Illustrator, Autodesk Sketchbook, Corel Painter, Manga Studio, Clip Studio, and Zbrush making this a very good choice for artists. This tablet has large drawing surface (10×6.25 inches) which makes it easier to work on. It has 2048 levels of pressure sensitivity which makes it easier for you to control how thick or how thin your line is. This tablet comes with 8 customizable side buttons and 16 hotkeys which make it easier for you to create shortcuts according to your needs which make it the best tablet for artists. It is compatible with Windows XP/7/8/8.1/10 and Mac OS X 10.8.0/later versions which make it a perfect choice for the best tablet for drawing. The stylus needs to be charged. Also, the stylus is not that slip resistant. Your hands have the tendency to keep on sliding down the pen. It doesn’t have a wide effective tilt. You need to hold the pen vertically before the tablet recognizes the stylus. Also, it has some issues getting the drivers downloaded and installed. 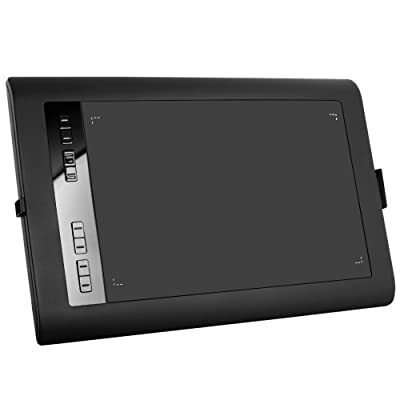 Yiynova MVP22U(V3) Tablet Monitor makes it easier for creative professionals such as illustrators, animators and industrial designers bring out the best in their artworks. With improved color quality from previous generation, this tablet meets and exceeds the industry standard in tablet monitor market today. Listed below are some of its pros and cons. This digital art tablet allows you to work directly on the tablet. It’s LCD has 16.7M Colors which is perfect for drawing, not to mention the 920×1080 Resolution. This tablet is equipped with 8 assignable keys for shortcuts. It comes with a pressure-sensitive pen with 2048 levels pressure levels. Also, this tablet responds pretty well. It comes with a lot of free accessories like 1 MiniDisplay-to-DVI Adapter, 1 HDMI-to-DVI Adapter, 1 VGA-to-DVI Adapter, 2 Pen Kits, 1 pair of artist gloves, 1 set of Pen/Pad Stand. The screen is very reflective which can be a little distracting if you have lights on. The drivers have the tendency to suddenly crash. It has a bad light leak around the edges of the monitor. Also, it has a noticeable parallax between glass surface and LCD. It doesn’t really look sleek. 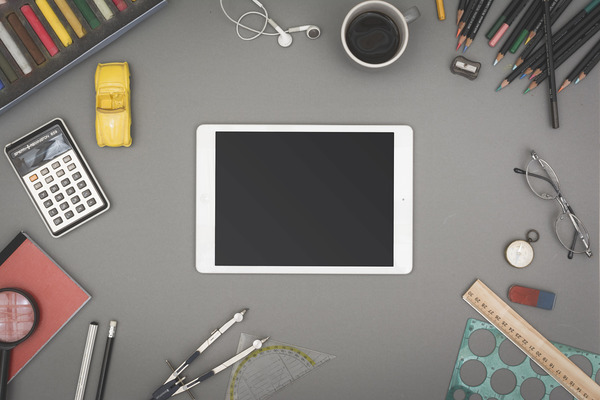 Apple iPad Pro makes it easier for artists to maximize their creative skills by making complex work as natural as touching, swiping, or writing with a pencil. It is equipped with Multi-Touch which makes it easier for you to interact with it. Check out is pros and cons below. This art tablet has 12.9″ Retina Display which gives you a lot of space for drawing, not to mention the 2732 x 2048 Resolution. This tablet’s battery can last up to 10 hours. Also, it supports the new Apple Smart Keyboard and Apple Pencil which is perfect for drawing. It is proven to have smooth performance even during multitasking. This tablet has a split-screen feature which is perfect for multitasking. It has ATX chip so it’s really fast on both downloads and uploads. Lastly, it is lightweight considering its size. This art tablet is quite big since it’s basically the size of two iPad Air 2s side by side, so it’s not really that handy. This tablet doesn’t come with a free stylus. You need to buy it separately. Its screen brightness is not as good as other iPad models. 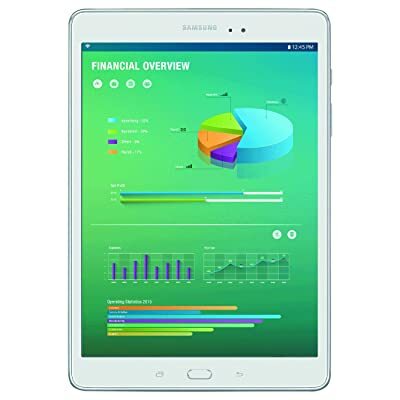 Unlike other Samsung tablets, Samsung Galaxy Tab A comes with a pen/stylus which makes it another good option for those who are looking for a digital art tablet. It also comes with all the other features Samsung tablets are known for making it perfect for other tasks, as well. See its pros and cons below. These tablets for artists has 9.7-inch main display size which is perfect for drawing, not to mention the 1024 x 768 Resolution. This tablet’s TouchWiz has improved and works really fast. Its battery can last up to 10 hours of real use. This tablet has a pressure-sensitive S-pen which makes it easier to control how thick or thin you want your line to be by simply pushing the pen a little harder when you draw. It has nice, loud speakers. Also, it has a plastic body which is nice and sturdy and does not easily scratch like aluminum. This tablet doesn’t have the standard size USB port for plugging in a flash drive and mouse. You may, however, purchase an OTG micro cable to be able to connect a flash drive or a mouse on this. It uses micro USB to charge instead of USB C.
It only supports 16GB internal storage. Wacom Cintiq 13HD Interactive Pen Display (DTK1300) gives artists, designers, and illustrators the clarity and depth they need to create detailed, professional artwork. With its multi-touch gestures, zooming, panning, rotating, and navigating your work can be as easy as a few swipes of your finger. This digital art tablet allows you to work directly on the screen. It has Wacom Pro Pen which comes with a 2048 pressure level. It is also tilt sensitive which is perfect for drawing. This tablet offers wide viewing angle (13.3″) with HD Display (1920 X 1080) which is also good for drawing. It has 4 customizable “Express Keys” which you can assign the necessary shortcuts with. Also, it can be easily attached to PC or Mac with 3-in-1 cable. It doesn’t have a USB port. The cable that attached it to the connector is a little too thick and is stiff enough to give resistance whenever you try to move the tablet. The cable attachment is not very secure that moving the tablet causes it to skew a little. It has the tendency to lag. Also, its power adapter has the tendency to make some unnecessary noise. Wacom Intuos Comic Pen and Touch Anime & Manga Digital Drawing Tablet can bring your stories to life. This tablet can help you sketch, ink, and even color frames which makes it perfect for all your digital editing needs. This tablet acts as a digital toolbox at your fingertips which can help you bring your imagination to life. See its pros and cons in the list below. This art tablet comes in a small compact size (8.25-by-6.7 inches) which is perfect if you have limited space. This tablet comes with a battery-free, pressure sensitive pen. Also, this tablet comes with a multi-touch gesture which allows you to use your fingers to navigate, scroll and zoom your artwork easily. It is equipped with four customizable “Express Keys” for easy shortcut assigning. You can assign these with your commonly used actions like copy/paste. It can connect to either Mac (10.8.5 and above) or PC (Windows 7 and above) without a problem either with USB cable or wireless. It doesn’t come with a free wireless kit since it is sold separately. Also, it sometimes encounters some issues with regards to downloading the driver, registering the product, etc. However, some users recommend using Mozilla Firefox in downloading the server, though. Wacom Bamboo CTL471 Pen Tablet is a good choice when looking for a digital art tablet. It gives you a premium feel of the pen tablet which will help you maximize your artistic skills. To understand this tablet better, you may check a list of its pros and cons below. This digital tablet comes with a battery-free and pressure-sensitive pen which makes it easier to draw. Also, this tablet comes with a multi-touch gesture which allows you to use your fingers to navigate, scroll, and zoom your artwork allowing you to work with convenience. It allows you to assign shortcuts to four customizable “Express Keys”. 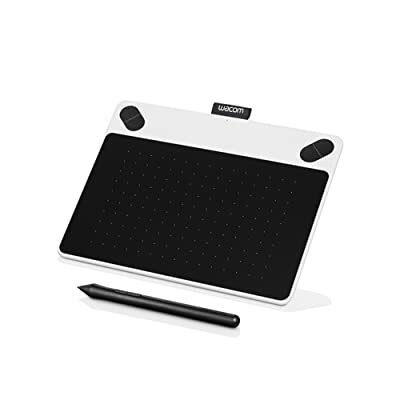 It can be connected to Connects to Mac (10.8.5 and above) or PC (Windows 7 and above) via USB cable or wireless which make it the best digital drawing tablet. Plus, this tablet comes in a very small compact size (8.25-by-6.7 inches) which is perfect if you have small or limited working space. This tablet doesn’t come with a free wireless kit which is sold separately. It sometimes encounters some issues with regards to downloading the driver, registering the product, etc. Some users recommend using Mozilla Firefox in downloading the server, though. Last but not the least, we have the Ugee HK1060 Pro Graphic Drawing Tablet. This tablet is perfect for drawing, digital editing, painting, and sketching. It comes with digital pen P51 which gives you the feeling of working with a real pencil. This will allow you to create the most realistic artworks. Check out its pros and cons below. This art tablet has a large active area (10 x 6 inches) which gives you a lot of space for working. It comes with a pressure-sensitive pen with 2048 pressure levels, as well as mouse and eraser functions, which allow it to function like a real pencil. The pencil comes with extra nibs. It has 8 user-defined “Express Keys” which allows you to assign your favorite shortcuts with. It has 4 non-slip mats at the bottom of the tablet which prevents it from sliding on the table. 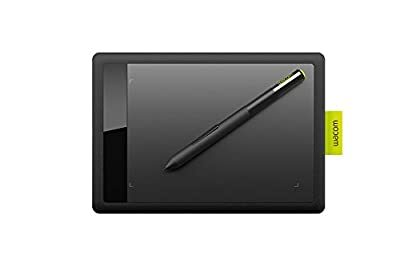 Lastly, this tablet is compatible with various drawing software like Adobe Photoshop, Photoshop CC, Illustrator, LightRoom, Corel Painter, Autodesk MAYA, and Pixologic. It has a very limited toolkit, lacking pen and calibration tools. Its software is vague and not easy to access, at least in Windows. The active space gets scratched easily. The pen gets easily broken. You may purchase replacements pens, though, for $15. With so many options to choose from, choosing one tablet among all the other options can be overwhelming. 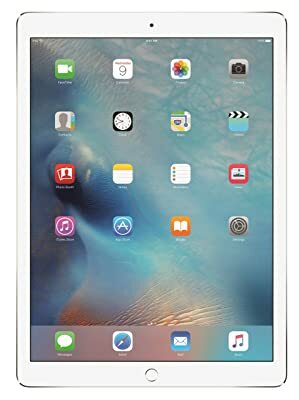 Coming up with the best choice can be confusing, thus, it’s best that you do some thorough thinking first before you finally decide on what tablet to buy. First of all, you need to decide on the size first. 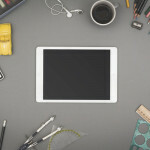 Size is one of the first factors that you need to consider in choosing what tablet to buy. 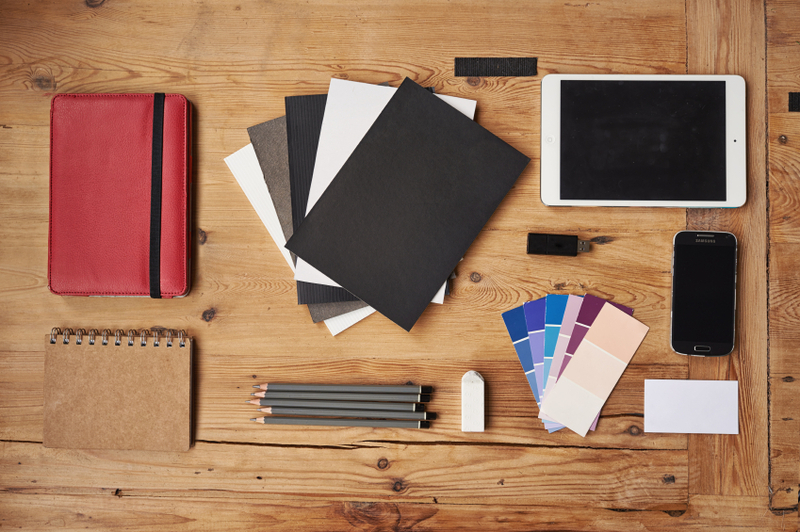 For some artists, they prefer the smaller sized (4″x5″ and 6″x 8″) while some prefer a larger surface area. Remember that the larger the surface area is, the more that you need to move your arm. Thus, some artists prefer smaller tablets to minimize arm motions. Other artists, on the other hand, prefer working on a larger surface area. Choose the size in which you are most comfortable with. The interface is how you connect your tablet to your PC. Most of the tablets today have USB interface which makes it more convenient for you to connect it to your PC. However, if you are using a very old computer, chances are, you may only connect your tablet to it through a serial interface so you may want to consider that, as well. Most of the tablet users, though, prefer tablets that support Bluetooth for a wireless and more convenient connection. Good drawing tablets come with a free pen/stylus while some don’t. In that case, you need to buy it separately. Also, some pens/stylus are battery-free while some must be charged. Some of the tablets come with a lot of accessories, too, like multiple adapters, pen kits, stand, etc. while others don’t. You need to consider those in buying your tablet. These pens have different pressure sensitivity level so you might as well consider that before buying a tablet. The pen’s sensitivity level affects how easy you can control the thickness of the lines you’re drawing by just pressing the pen harder. That really matters in choosing a drawing tablet that works best for you. All tablets require drivers so you need to ensure that your tablet comes with a driver that is compatible with your computer’s operating system. Otherwise, your tablet will be useless. Finally, these tablets for artists vary in prices depending on the brand and its features. Most of the bigger tablets are more pricey than the smaller ones. Those that come with more advanced features tend to be more expensive, too. Thus, you need to know what specific features works best for you. If you do not really need those high-end features which are meant for more advanced work then maybe you can settle for the not so expensive brand/type. The choice depends solely on your specific needs. In conclusion, choosing the right tablet depends on your specific needs. Everyone’s needs vary. What’s considered as the best choice for some may not be the perfect choice for you. 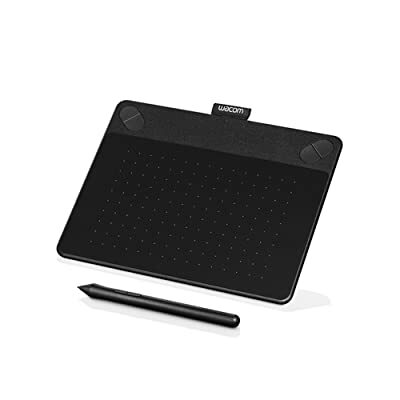 An amateur artist who needs a digital art tablet for simple drawing tasks does not necessarily have to buy the real advance tablets which professionals use. Thus, it is best that you really know what features you truly need before you start shopping for the best digital drawing tablet. Knowing exactly what you need and what you don’t will help you narrow down your choices.